Lyme Street offers a mile of exquisite shops, fine dining, cozy inns, and world-class cultural institutions just off I-95. The Museum is located in the heart of the village’s historic district. On the Connecticut shoreline, conveniently located between New York and Boston, Old Lyme is a dream destination. The artists who traveled between the two cities at the turn of the 20th century were looking for a beautiful place to visit far from the bustle of city life. They brought their friends and painting supplies and stayed at “Miss Florence’s” boardinghouse (now the Florence Griswold Museum). They captured on canvas all the wonderful things they found here…rolling fields, rocky shores, graceful gardens, weathered barns, and classic New England architecture. Paintings of those views are now icons seen in museums worldwide. Today’s visitors to Old Lyme still see what the artists did, with the added bonus of plenty of family activities, shopping, boat rentals, nature walks, and homemade ice cream! 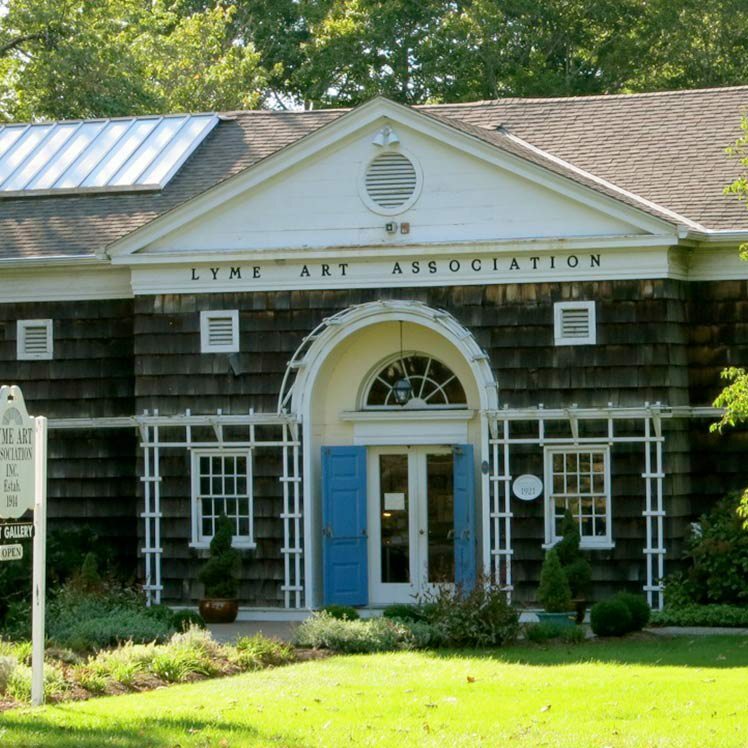 On August 6, 1921, the present Lyme Art Association gallery (built on land donated by Florence Griswold in 1918) opened. It was the first gallery in America built by a summer art colony. The Lyme Academy College of Fine Arts was founded by professional artists in 1976, and is distinguished among the art schools of America for its focus on the history, tradition, principles and discipline of drawing, painting and sculpture. 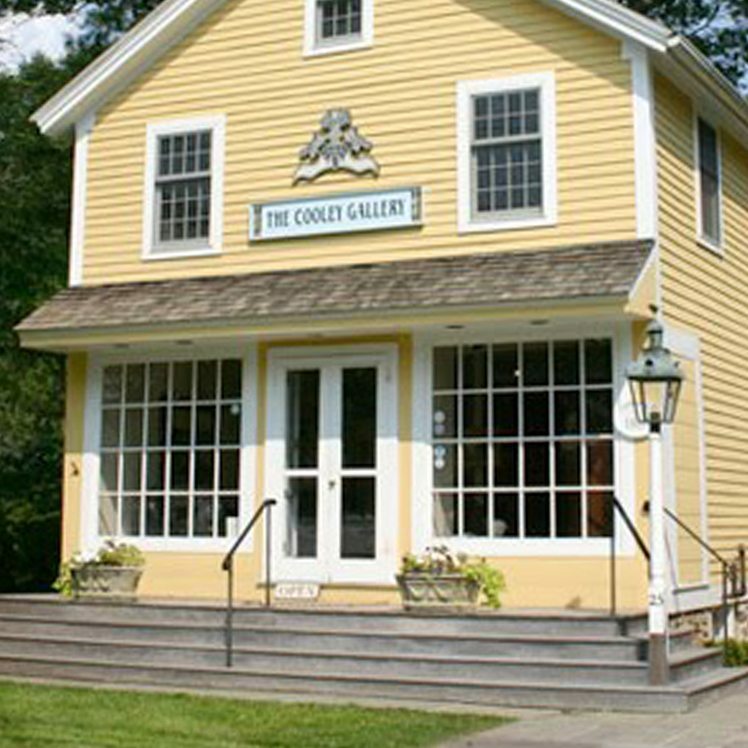 The Cooley Gallery is a nationally-recognized dealer of American art. On display are works from the mid-nineteenth century through the twentieth century. Visit local landscape artist Sandy Garvin at her studio. There are two lovely inns within walking distance of the Museum. The Bee and Thistle Inn is noted for its fine dining and romantic guest rooms. Enjoy special packages featuring Museum admission. The Old Lyme Inn has 13 guest rooms. The Inn at Harbor Hill Marina in Niantic, offers a beautiful waterfront setting only 20 minutes from the Museum and offers special packages. The Copper Beech Inn in Essex is a 15-minute drive from the Museum and offers seasonal packages that includes admission to the Museum and other attractions. The Inn’s renowned AAA Four-Diamond restaurant features snug, distinctive dining rooms and summer outdoor dining. The Westbrook Inn offers nine lovely, antique appointed rooms plus a spacious cottage. Modern Conveniences such as WiFi, private baths, a/c, hair dryers, irons & ironing boards, cable TV. Captain Stannard House Country Inn is in Westbrook, about 15 minutes from the Museum and just one block away for the beach. 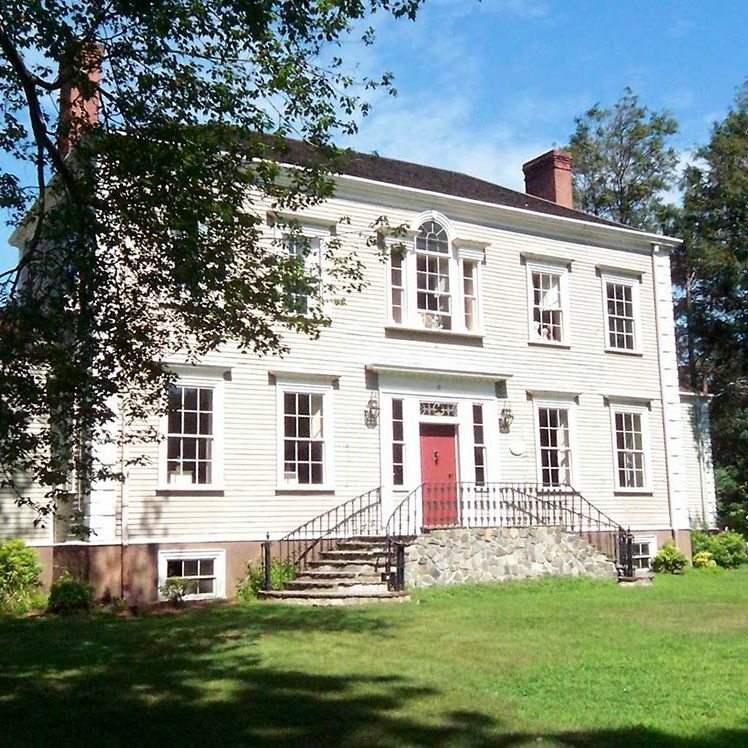 In Old Saybrook the Deacon Timothy Pratt House invites you to enjoy the splendor of this magnificent c.1746 center chimney colonial listed on the National Historic Register. Look for the many special offers. Café Flo is located on site. It is open 11:30 AM to 3:00 PM Tuesdays through Saturdays, and Sundays 1:00 – 4:00 PM June into October. Across the street from the Museum. Casual dining. Next door to the Museum. A short drive from the Museum. Less than a mile from the Museum in the historic district. Soup, salad, and ice cream. A short drive from the Museum. American cuisine. 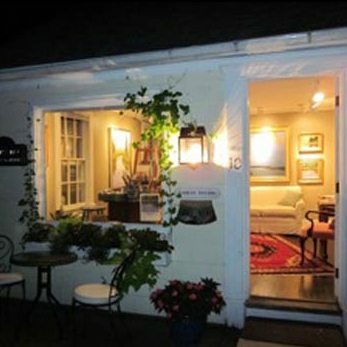 Find exceptional places to experience in Lyme and Old Lyme. The Official Connecticut State Tourism page. Your go-to source for information on traveling to and around Connecticut. Southeastern Connecticut offers something for every taste, from culture seeker to nature lover to maritime fanatic. For more information about events and destinations in the area, visit Mystic Country. LymeLine.com is an online newspaper covering Lyme and Old Lyme. It is updated daily (sometimes several times a day!) and often includes stories about Museum happenings along with a great deal more community news for the Lymes, including an especially useful Community Calendar. OldSaybrookNow.com and ValleyNewsNow.com (covering Essex, Chester and Deep River) are full of community news for those towns. the-e-list is a free weekly email newsletter about all good things on the Shoreline of Connecticut. There is plenty going on between New London and New Haven but the art venues, fashion destinations, food purveyors and restaurants are spread out and hard to find.